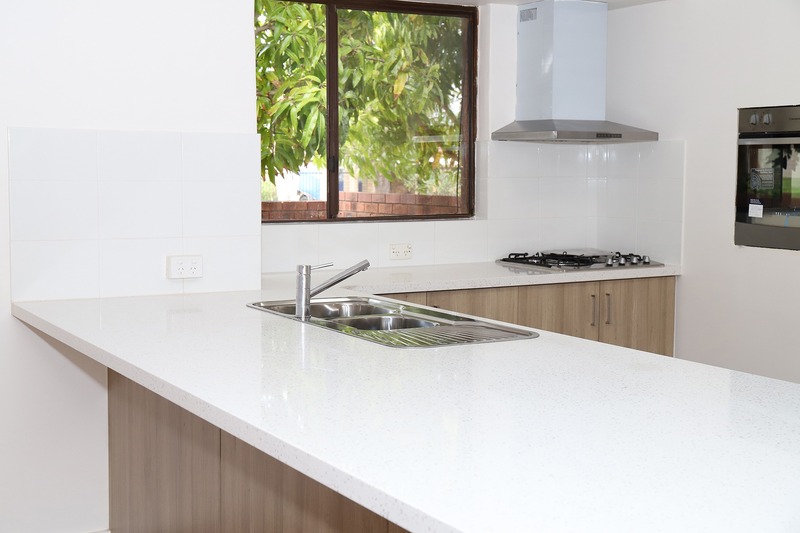 Go2 Homes were engaged to design and renovate this 5 bedroom, 3 bathroom home to upgrade and modernise with durable, low-maintenance finishes and fixtures. The main challenge with this project was to ensure the works were completed quickly for our client to be able to attract high-quality tenants. Works included: Demolition of all existing finishes, structural remedial works and new openings, ceiling linings, new door hardware, roof restoration, 3 x new bathrooms, tiling, laundry, and cupboard cabinets, new laminate flooring, new modern kitchen and appliances, new light fittings throughout, new AC, external paving and painting of all previously painted surfaces.